It’s not just your imagination: Miami is home to some of the most dangerous roads in the country. Recently, US-1 was named the deadliest highway in the U.S. 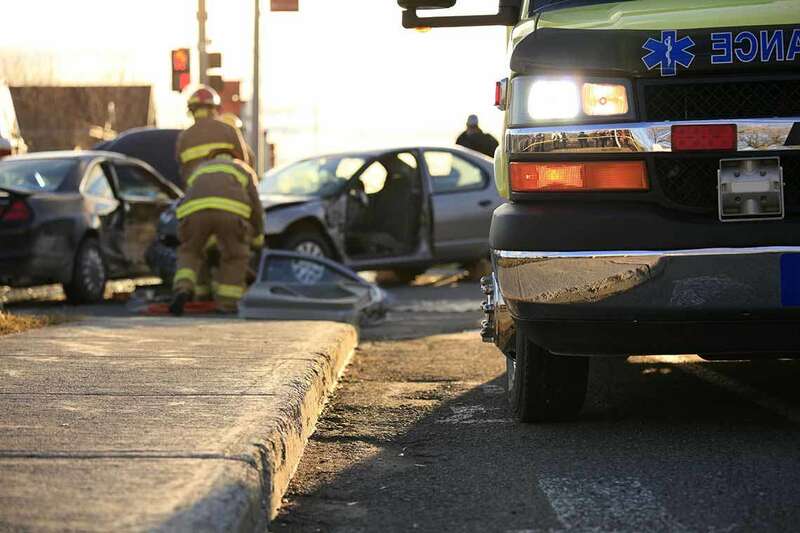 There have been more than 1,000 fatalities on the road in the last decade. In 2016, 294 people died in car crashes in Miami-Dade County. If you were injured in an automobile accident in Miami you may be able to sue for compensation. To find out if we may be able to help recover compensation for you, please fill out our free, no-risk case evaluation form today. Sadly, no one is immune to Miami’s dangerous roads. Miami-Dade County boasts the most motorcycle and pedestrian crashes in the state, according to data from the Florida Department of Highway Safety and Motor Vehicles. In 2016, there were 1,117 motorcycle accidents and 1,449 pedestrian accidents. Miami also nearly ties Broward County for the most accidents involving cyclists (758 crashes to Broward’s 759). Our attorneys practice multiple types of motor vehicle accident lawsuits, including those involving motorcycles, trucks, buses, bicycles, and pedestrians. Car accidents can be overwhelming, particularly if it’s your first one. While the safety and health of yourself and others should always be at the top of your mind, there are some things you should do to help you file your insurance claim and, if necessary, a successful lawsuit. At the scene of the accident: Take pictures of the damage, and collect the contact information, driver’s license number, license plate number, and insurance policy information of the other drivers. After the accident: Get evaluated by your doctor, and contact your insurance company. Ongoing: Keep track of all repair and medical bills, and keep a journal of your injuries. If you get hurt due to a motor vehicle crash, even if the other driver was clearly at fault, you will probably have to fight to recover the compensation you deserve. The other driver’s insurance company may not place a fair value on your claim. In fact, many insurance companies will do everything they can to cut your claim, including minimizing your injuries or alleging that your injuries weren’t caused by the wreck. That’s why you should hire an auto accident attorney who will negotiate with the insurance company on your behalf to help acquire the compensation you deserve. According to Florida Law, drivers are required to have a minimum of $10,000 in personal injury protection (PIP) insurance. PIP will cover up to 80% of your medical bills (up to $2,500 if your injury is not life threatening and up to $10,000 if it is) after a car crash if you file a claim within 14 days. If your insurance company denies you payment, contact our motor vehicle accident lawyers for a free evaluation of your proper PIP insurance payout. From the investigation, your lawyer will be able to estimate how much compensation you may be eligible to receive. If the negotiations are unsuccessful, your attorney will determine whether you may be able to file a lawsuit against the insurance company. What Can I Recover After a Car Accident? A lawsuit may be able to help you recover compensation towards medical costs, lost wages due to your inability to work, and damage to your vehicle, as well as noneconomic suffering that may include pain and suffering, mental anguish, and emotional distress. At Morgan & Morgan, our attorneys have achieved tremendous success on behalf of clients who were severely hurt in car wrecks. Our lawyers take insurance companies to task and hold negligent drivers accountable for their actions.